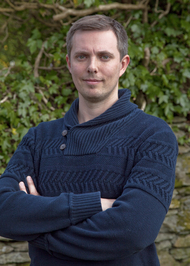 DJ Priddle’s debut novel ‘The Honey Trap’ is being published by Percy Publishing. It is out on Kindle from Monday 1st September 2014 with the paperback being released on 19th September 2014. DJ Priddle kindly took the time to answer some questions for me. Tell me a bit about your book ‘The Honey Trap’. 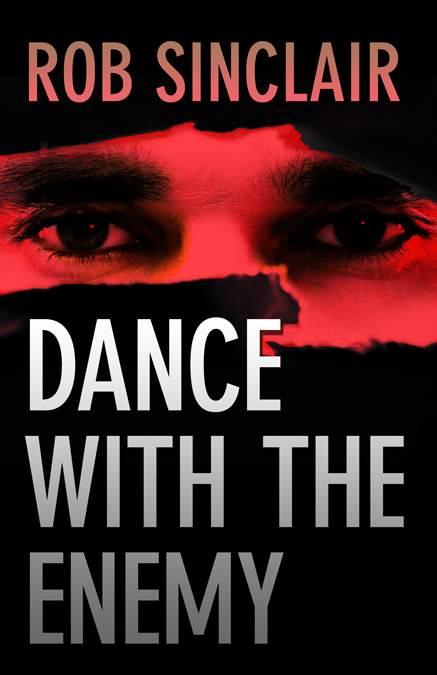 The Honey Trap is a story about a ‘bad’ cop, Jonas Brock, who used to work in the Metropolitan Police Force. He has made some pretty bad decisions and ended up in prison. The story focuses on his life, and his attempts to rebuild his broken relationships, but unfortunately for him, he is not very good at it. He is selfish and broken by his own past, and continues to hurt all of the people that he cares for the most. Jonas takes on some private investigator work, but is soon out of his depth with an enormous fraud case and unexplained murder. Yes. Lots. ‘The Honey Trap’ is about things that I knew nothing about. While the story line (I hope) is about human interaction and relationships, the setting was new to me. I am a huge fan of British TV police dramas and wanted to explore those dark ideas. As I began to build Jonas Brock’s back-story, I decided that to know as much about him as possible, I would write short biographies of each of his close family. In each case, I researched the historical details of their lives, such as his mother’s role as a female in the MET throughout the sixties and seventies, and also the closure of the London cargo docks. Although very little of this research appeared in the book, I found that it gave me a far better insight into the environment that Jonas was part of. I also enlisted the help of a friend, who works in the police force, to ensure that the procedural information was correct. It was not that always wanted to write, I just did. Since I was young, I’ve always enjoyed creative writing. Throughout school I wrote short stories and enjoyed studying English Literature and the Greek Classics. I had two English teachers at high school who were a huge inspiration to me, and their passion for the classic writings of Sophocles, Homer, Harper Lee and Shakespeare meant that I really engaged with them. I remember closing my eyes as they would read the books aloud to the class, and letting the ideas and images fill my brain. I was inspired by the way that the characters interacted with each other. The main storyline always felt merely like a top layer of a much more complex idea, to me, and that is what I wished to create in my own writing. As I got older, I continued to write, but never completed anything. I realised that I did not know how to write a story, to the end. I did not have the focus or the attention span to see it through. So, I had to retrain my brain and learn the craft of ‘long-distance’ writing. I am currently working on the follow up second and third book of the series. After finishing ‘The Honey Trap’ I realised that I had only really finished the very beginning of the story. The story is bigger than I had originally planned, and Jonas has a long way to go before his own journey is complete. I began planning the second book, ‘Blood Runs Deep,’ at the end of June this year, but as I was planning, I soon found that book two and three were so closely intertwined, that they would have to be written together. It has become a very complex story, with a great deal more characters to introduce, and I think that the only way to stay true to the original idea is to write them both, and then split them into two books. What advice do you have for anyone wishing to write their first novel? So, sit and tap away at the keyboard, and give yourself permission to be exceptionally bad at it. Write rubbish, use terrible grammar, make spelling mistakes and lose your storyline to go on a worthless tangent, but do not stop, until its finished. Then, and only then, edit. Writing and editing are different processes; do not confuse them as one. When you write, you do just that. No sooner than the idea is formed in your mind, it is shot out of your fingertips and onto the page. Editing is a slow and analytical process, and in my opinion, where the real storytelling happens. Each sentence is taken apart, one word at a time, and reconstructed to flow and to entice the reader to read on. Write hot, edit cold. Write freely without censoring yourself in any way. Allow those creative ideas to rush out of your psyche, and hopefully you will create something wonderful. Edit as if it is the worst story that you have ever read. Be harsh, show no mercy and do not spare your feelings. Sometimes in an edit, you will have to get rid of ideas that you have come to care about. You will kill off characters, lose whole scenes of amazing creativity, and sometimes you will be sad to see them go. However, if it does not move the narrative forward, then you need to get rid of it. Be prepared to kill those ideas. Do not get precious about them. What you have at the end could be the greatest work of fiction that the world has ever seen, it probably is not, but that ‘maybe’ is hope enough for any author. I’m the lead singer of a rock band. No really, I am. My wife and I run a wedding and function band, and I’m the front man. I travel the country in an old transit van and perform on stage. When I am not doing that, I write press releases for an independent PR company and I present a show on local radio. I live with my wife and three daughters, which mean that my spare time is filled very quickly with DIY, day’s out and dad duties. If after all of that, I have any time left, I might watch a film. DJ Priddle has worked as a professional musician and actor since leaving school and drawing from his experiences from performing. 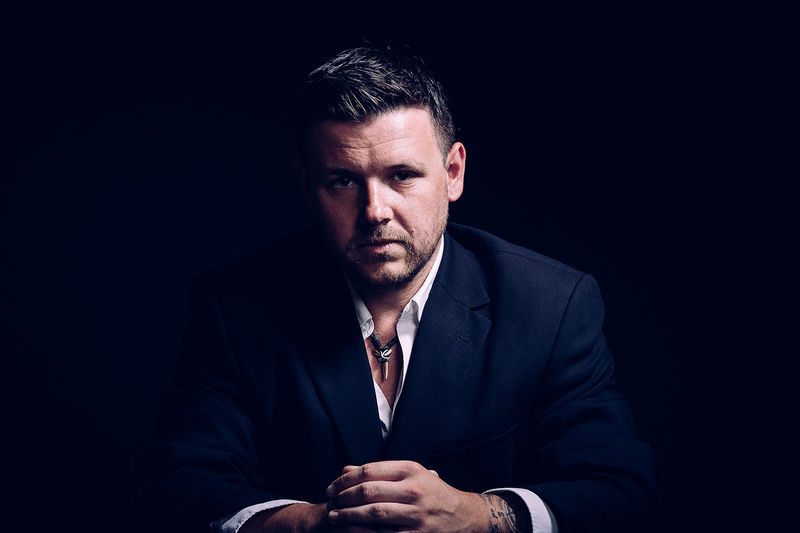 As well as filming with BBC and ITV, he has always been a keen writer of lyrics, scripts and short stories, and now his love of crime thrillers and dark fantasy novels has helped him to pursue his own professional writing career. Now he performs weekly in a top UK function band as well as presenting on local radio, while working as a full time writer. He lives on the Isle of Wight with his wife and three young daughters. 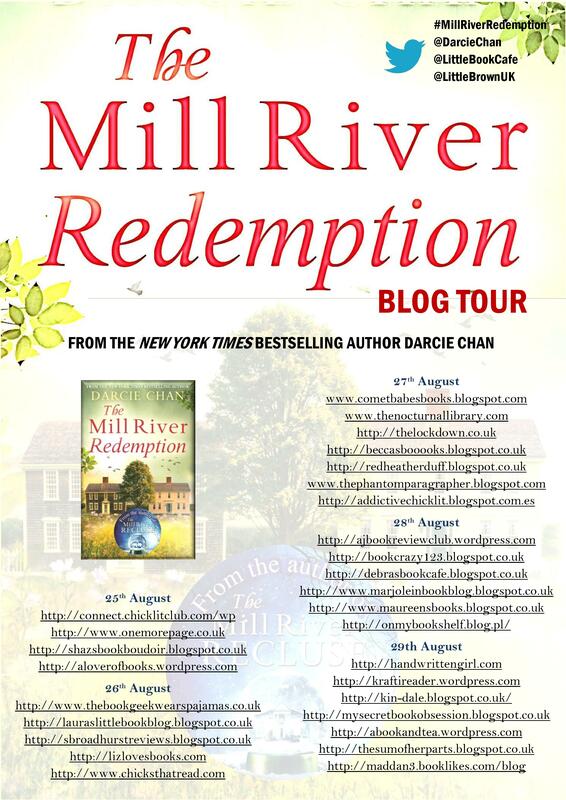 Today is the first day of this blog tour in which we are celebrating Darcie Chan’s second novel, ‘The Mill River Redemption’ which is being published tomorrow by Sphere. I was asked if I would like to review ‘The Mill River Redemption’. I had never heard of Darcie Chan until then but the book sounded both interesting and intriguing so I decided to give it a go especially as it is recommended for fans of Maeve Binchy whose books I absolutely love. Josie DiSanti had no idea about what was about to happen and she certainly didn’t expect to lose her husband. With no way to support herself and her two young children, Josie has little choice but to go and live in the small town of Mill River with her Aunt Ivy. Rose and Emily, Josie’s daughters, are totally inseparable and look out for each other whilst they are growing up. But then something tragic and unforgiveable happens which tears the two sisters apart and they go their own separate ways. 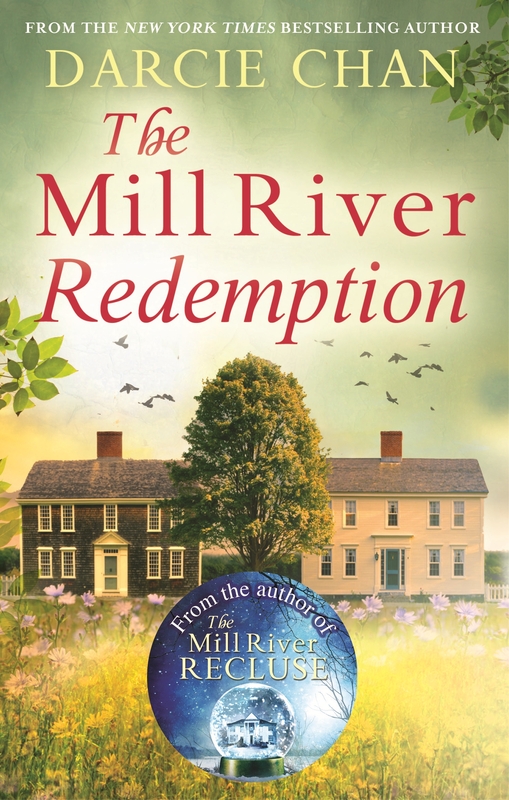 Many years later, Rose and Emily are contacted with news that their mother has died and they find themselves back in Mill River for the reading of her will. Josie tried her best to get her daughters talking again but was unsuccessful in her attempts. Still determined she has left them a task in which she hopes they will work together and reconcile their differences. In order to comply with her wishes Rose and Emily must move to Mill River and live in neighbouring houses. The two sisters reluctantly get on with the task at hand. But will they succeed in completing it and will it bring them together? I really liked the cover. The colours go well together and it is such a lovely peaceful image. I wouldn’t of minded living in one of those houses. Set in 2013, this novel goes back and forth from 1983 onwards so that the reader gets to learn the whole story. The chapters which are based in the past are clearly marked. Out of the two sisters, Emily was my favourite. I found it hard to warm to Rose even though she had issues and needed help desperately. I absolutely loved Aunt Ivy and reading about her bookstore. I could have spent hours in there! I wasn’t sure what I thought about the twist towards the end of the story. It was a bit of a shocker and rather drastic. This story is about family, love, forgiveness and facing up to your problems. Having enjoyed ‘The Mill River Redemption’, I do hope to get round to reading ‘The Mill River Recluse’ at some point soon as it is about one of the earlier character’s mentioned in this story. ‘The Mill River Redemption’ by Darcie Chan (Sphere) is available as an eBook from tomorrow. 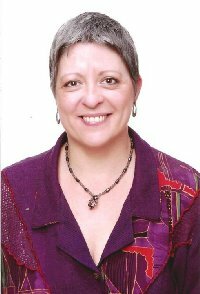 Jane Carroll, Author of Bertha-Size Your Life!, is a Life Coach, Registered Nurse, Reiki Master, Mother, Grandmother, and long-time student of life. She has seen the focus of her over 30 year nursing career change from illness to wellness to wholeness, a philosophy that permeates everything she does. Jane very kindly took part in an interview for my blog. You published your new book at the end of May. Can you tell me a bit about it please? 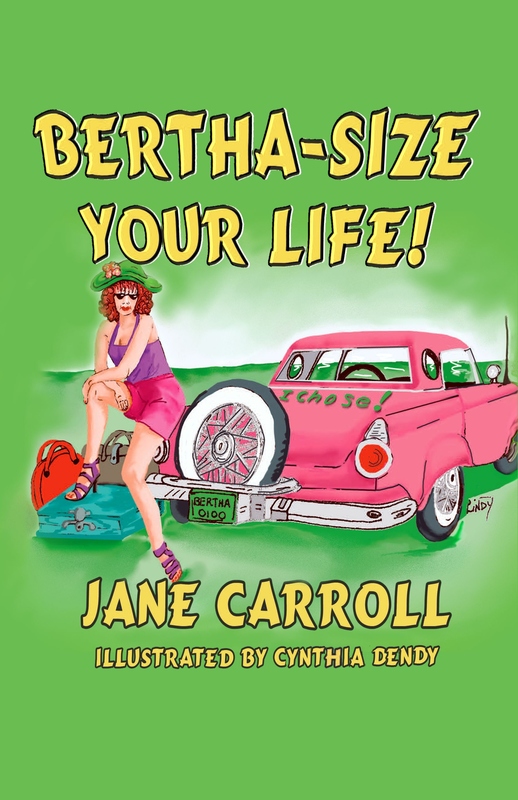 Bertha-Size Your Life!, or Bertha as most of us call her, has been re-released by Master Koda Select Publishing. I’m really excited about being part of the MKSP family and Bertha is excited to be back in circulation. Bertha is a book of personal transformation that reads like a series of entertaining and humorous stories. 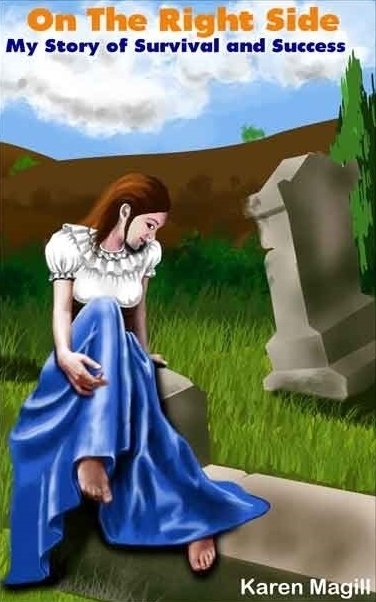 Bertha, a zany redhead, mysteriously appears in the narrator’s life during a walk in the park. Quicker than a man can hand off a baby with a dirty diaper, she has moved into the narrator’s empty nest and the fun begins. Anything and everything from cleaning the gutters to sweeping the kitchen floor to digging up monkey grass can spark my attention. I suppose it is a result of years of immersing myself in inspirational and personal growth information. It’s like something totally unrelated will suddenly make it click and a Bertha story is born. The sequel to Bertha-Size, Becoming Bertha, is slated for release by MKSP in the fall. Where the Joys Are: Bertha’s Guided Journal is on for late summer by MKSP. And there’s a cozy mystery in the works featuring Bertha as a senior sleuth along with a zany cast of teenagers and of course, a pesky cat and lots of shoes. I first remember writing some pretty sappy poetry in about seventh grade. I always enjoyed writing and considered journalism as a college major rather than nursing but Mama was paying the tuition and she chose nursing. And the rest as they say is history. As a young wife and mother I did journal some and always dreamed of writing a book that would help women in some way. I didn’t start writing in earnest until I was around fifty and I haven’t stopped since. I love to ride my bike, read, cook, do a little bit of yard work and of course, write. But some afternoons, nothing beats a good nap! I’m a school nurse so during the school year I get up between three and four just to have some quiet time before I leave home. I generally meditate, read something inspirational, blog, and play on social media. Most people think I’m crazy for getting up so early, but if I don’t have that time to get grounded I’m not very fun to be around. Then it’s on to work where I pass out band aids, peppermints, medicine, and lots of TLC all day. By the time I get home there’s dinner and dishes and maybe some reading before a very early bedtime. I don’t watch a lot of TV but when I do it’s either a comedy or HGTV. Bertha says there’s enough drama in my life without me watching more on TV…and I have to agree with her. It’s summer now, so my days are a bit more relaxed…it’s still usually dark when I get up but it’s also dark when I go to bed. I have more time for writing and marketing and playing on social media. Jane Lark is a bestselling author of both historical romance and new adult genres. To celebrate her novels various blogs have been taking part in a summer extravaganza. Today I am reviewing her fabulous book ‘The Illicit Love of a Courtesan’, the first in the Marlow Intrigues series. ‘The Illicit Love of a Courtesan’ was published by HarperImpulse last year. As a lover of historical fiction I was keen to read this book. Ellen Harding appears to live a charmed life as mistress to Lord Gainsborough. However, no one knows exactly what is going on behind the scenes. Ellen may always look glamorous and as if she is treated well, but inside she is empty. She is trapped and wants desperately to escape from Gainsborough’s clutches. Lord Edward Marlow comes on the scene and an unexpected encounter leaves Ellen with some hope and a longing for him. Edward could prove to be her salvation. He might just be able to help her and get her away from Gainsborough. After enduring many years of abuse will she finally get the life she deserves? From the very first page I just knew I was going to love this book. The words flowed so easily and I found it very hard to put my kindle down once I got into the story. Jane Lark writes beautifully and the descriptions throughout, from the gowns and jewellery Ellen wore to the ballrooms were wonderful. It took a while for Ellen to trust Edward totally and to be able to feel that she could confide in him completely, but then that’s no surprise after what she had been through. I think Edward did a lot to strengthen her character. ‘The Illicit Love of a Courtesan’ is an exciting and deliciously romantic novel. If you love historical fiction this book is sure to keep you turning the pages. I hope to read the rest of the Marlow Intrigue series. 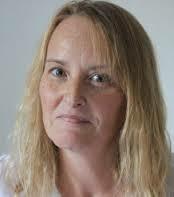 Jane is qualified to the equivalent of a Masters Degree in People Management and is fascinated by the things that craft people’s personalities, so she has great fun exploring these through characters. She lives in the United Kingdom near the Regency City of Bath and has just bought her 400 year old dream home. History has always tempted her imagination and she loves researching and also exploring ruins and houses to get ideas. She equally loves a love story. Jane has always aspired to writing a historical novel so when she was thirty she put it on her ‘to do before I am forty’ list. She completed her first novel ten years ago, never sent it anywhere then started the next. 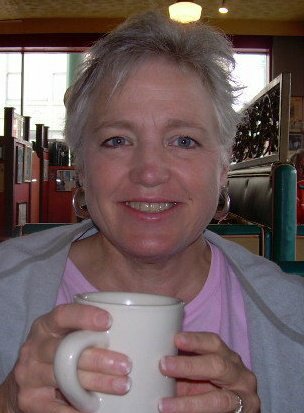 She’s not stopped writing since, and escaping into a mental world of fiction is a great painkiller to help fight off her Ankylosing Spondylitis. 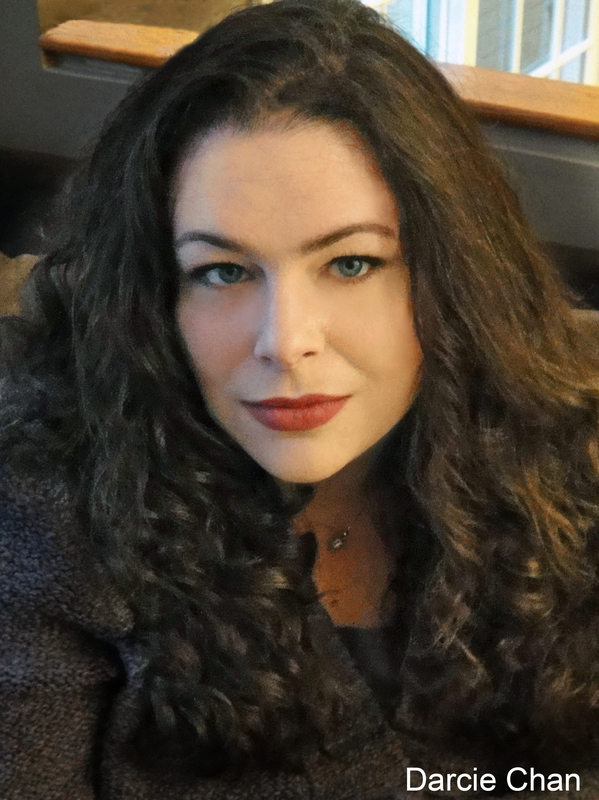 Lia Riley writes off beat New Adult Romance. ‘Upside Down’ was published by Piatkus as an ebook on the 5th August 2014 and it is the first book in the Off the Map trilogy. I was sent a copy to review. Natalia Stolfi is twenty-one years old and lives in Santa Cruz, California. Lately things have been very hard for her. Natalia suffers from OCD and panic attacks, plus she has been trying to deal with a recent loss. But she knows it is time for her to say goodbye to all those painful memories and sort herself out. So Natalia decides to go on a six month trip to Melbourne. There she will make out that she is an exchange student with absolutely no worries. But will she succeed? Bran Lockhart has had the worst year of his life. After a failed relationship he returns to Melbourne to try and piece his life back together. He doesn’t believe in love anymore. However, he unexpectedly meets Talia and realises that he really wants to be with her. Are they meant to be together or will they go their own separate ways? 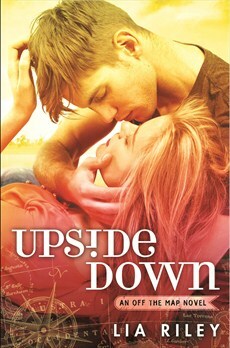 I’ve never read a New Adult Romance novel before and although ‘Upside Down’ sounded interesting I didn’t really know how I would get on with it. As it turns out I finished the book within a couple of days. I didn’t get into the story fully until after the first few chapters and then I found it hard to put down. I liked the writing style and it was interesting to learn what some of the words meant in Australia. For instance ‘thongs’ means flip-flops and not underwear. This story also had a wide range of characters. I felt sorry for Talia and what she had been through. She went away in the hope of forgetting her past and curing herself of her OCD only to discover that it wasn’t all that simple. Her trip away and the experiences she had made her a much stronger person though and it helped her shape her future. I am now looking forward to reading the next book as it will be interesting to find out how Talia’s life progresses. ‘Sideswiped’, the second book in this trilogy is due to be published on the 7th October 2014. Karen Magill lives in an eclectic area of Vancouver in Canada. She gets her inspiration from the history and stories around her. Karen kindly took the time to answer a few questions for my blog. Tell me about the type of books you write. For my fiction works, I write paranormal. My latest series are paranormal mysteries set in Vancouver that combine historical fact with the fiction. To date, I have four published paranormal books – The Bond, A Paranormal Love Story, Let Us Play, A Rock ‘n Roll Love Story (Mystique Rising in Kindle), Missing Flowers and A Little Poison. I have one non-fiction and that book is entitled On The Right Side, My Story of Survival and Success. This one is the story of my journey, so far, with multiple sclerosis. Sometimes I can be influenced by a news article or a historical event and then I try to bring in characters and add something paranormal. Just to make it a little more interesting. For On The Right Side, I lived what happened. When writing it, I consulted two diaries I kept when I was first diagnosed and the book grew from that. 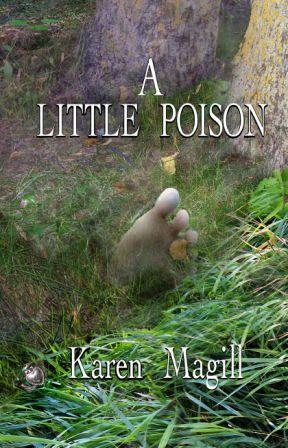 Besides promoting my books, I am also starting to plan the sequel to Missing Flowers and A Little Poison. That one should be out next year and will be entitled Eden Damned. As well, I am starting a career as a motivational speaker so I am working on speeches, learning PowerPoint and trying to find places I can speak at. Have you got a favourite place where you do your writing? I recently got a laptop and connected my desktop to my television. I like writing on the desktop now because I have such a big screen! When I write entries for my blog, the Vancouver Vagabond, (http://karen-magill.blogspot.ca) I love it because the photos are so large and clear now. What advice do you have for anyone wishing to pen their first novel? Just sit down and write and find the system that works best for you. Some people love to plan everything out while others just write. Get it edited again and again. Remember too that your first book may not be worthy of publication but it will be something good for you to do, to learn the discipline of completing a book. I come from a family of writers and ever since I learned to put words together, I have written. I tried many things in the past but something always brought me back to writing. So I guess yes would be the answer. Usually I get up and check my email then maybe watch the morning news. I am on disability so I don’t go to a regular job. I spend my days working on promotion or writing or learning. Nothing really exciting. 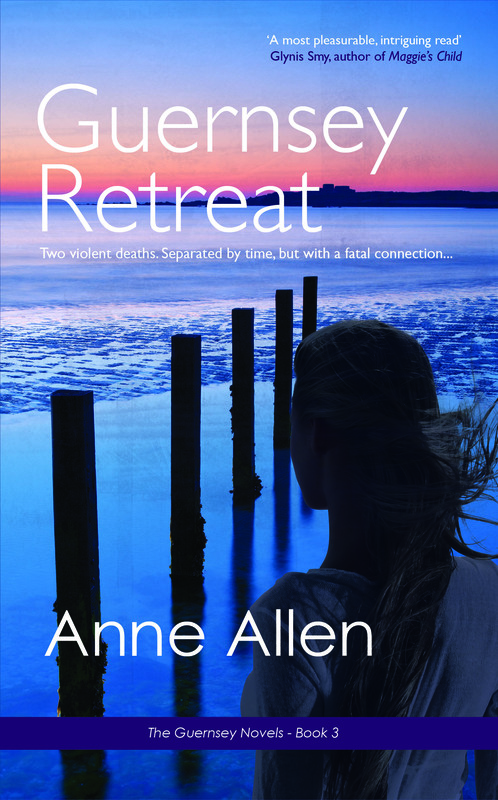 Anne Allen recently published her third novel, ‘Guernsey Retreat’.